The logo for this branding came from a set of tri-con illustrations that I made. The business specializes in Thai cuisine. 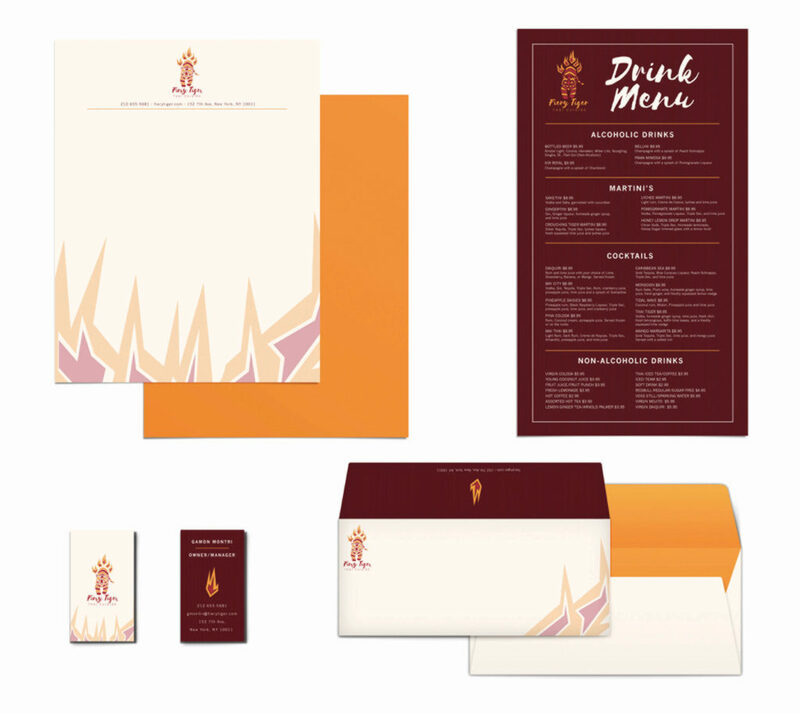 I created the logo, stationery set, and drink menu from that symbol. The design utilizes a simple, modern style throughout and a warm color palette. The logo and the rest of the designs are created using vector.